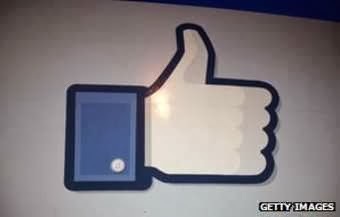 Facebook has devised a "sympathise" button as an alternative to the "like" button for use in certain situations. If a user selected a negative emotion from Facebook's list of feelings in a status update then the "like" button would change to "sympathise". A Facebook engineer said at a company event that the button had been created as part of an internal project. But he later went on to say there were no plans to launch it at the moment. Facebook were holding a "compassion research day" where members of the public and researchers are invited along to "improve [Facebook's] understanding of the driving forces and benefits of compassion". In a question and answer session an audience member asked if Facebook had thought about changing the "like" button when it felt inappropriate in relation to what a user had posted, for example when someone had written that their parents had died. Dan Muriello, a software engineer at Facebook, said another engineer had worked on a hackathon project "a while back" to change the "like" button to "sympathise". It would not work for every post he said but if you tag a status with certain emotions from a fixed list then the "like" button would change. "A lot of people were very excited. But we made a decision that it was not exactly the right time to launch that product. Yet," he said. Facebook hackathons are events where the company's engineers get together and brainstorm new ideas. Facebook Chat and the "friend suggester" facility both were developed from work at these events.